From its inception, the Church has always found it helpful to summarize its core convictions in rather short and succinct statements such as hymns, creeds, and confessions to impart truth, clarify and prevent confusion, protect from false teaching, and otherwise hold fast to the historic landmarks of our heritage. The Christian confession is merely a response to God’s revelation. Thus, the confessions of a church and its individual members should correspond to the boundaries and contours of biblical truth that God has revealed to us. All Christians everywhere say they believe the Bible, but creeds, confessions, and statements help to clarify what it is that we believe about the Bible.  At GracePointe, we have two distinct but complementary statements summarizing our beliefs to varying degrees of comprehensiveness: Statement of Basic Beliefs and Statement of Biblical Doctrine. 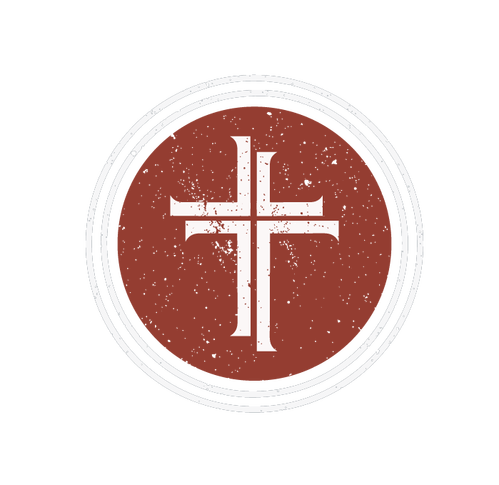 Together these statements, paired with the Gospel and One Another Commands, communicate what we believe as a church and will therefore be foundational for our teaching, preaching, praying, instructing, disciplining, and counseling. There will be a future physical resurrection of the dead. Only those who turn from sin and to Jesus in faith and repentance will be raised to eternal reward.2 Those who do not turn from sin and to Jesus will be raised to eternal punishment. 1. We recognize that Adam and Eve were not “born” and were not created sinful; rather, they became sinful through their action. 2. This is not intended to deny the salvation of Old Testament saints but is instead a recognition that they were saved through faith in Jesus Christ, though the content of that faith was less clear than it is for us on this side of the cross and resurrection. From all eternity, God determined in grace to save a great multitude of guilty sinners from every tribe and language and people and nation, and to this end foreknew them and chose them. In love God commands and implores all people to repent and believe, having set his saving love on those he has chosen and having ordained Christ to be their Redeemer. The proper response to the gospel is faith in the person and work of Jesus Christ, a faith that is naturally accompanied by repentance from sin. Biblical repentance is characterized by a changed life, and saving faith is evidenced by kingdom service and works. While neither repentance nor works save, unless a person is willing to deny himself, pick up his cross and follow Christ, he cannot become His disciple. Though man is responsible for his sin, God is ultimately and entirely responsible for drawing those He would save unto Himself and overcoming their natural resistance to the gospel. This response to the gospel is rooted and grounded in the grace of God alone for His own pleasure and glory. This gospel of grace is to be sincerely preached to all men in all nations. "So whether you eat or drink or whatever you do, do it all for the glory of God." (1 Corinthians 10:31). If God made us for his glory, it is clear that we should live for his glory. Our duty comes from his design. So our first obligation is to show God's value by being satisfied with all that he is for us. This is the essence of loving God (Matthew 22:37) and trusting him (1 John 5:3-4) and being thankful to him (Psalm 100:2-4) It is the root of all true obedience, especially loving others (Colossians 1:4-5). "All have sinned and fall short of the glory of God." (Romans 3:23). What does it mean to "fall short of the glory of God?" It means that none of us has trusted and treasured God the way we should. We have not been satisfied with his greatness and walked in his ways. We have sought our satisfaction in other things, and treated them as more valuable than God, which is the essence of idolatry (Romans 1:21-23). Since sin came into the world we have all been deeply resistant to having God as our all-satisfying treasure (Ephesians 2:3). This is an appalling offense to the greatness of God (Jeremiah 2:12-13). "Here is a trustworthy saying that deserves full acceptance: Christ Jesus came into the world to save sinners..." (1 Timothy 1:15). The good news is that Christ died for sinners like us. And he rose physically from the dead to validate the saving power of his death and to open the gates of eternal life and joy (1 Corinthians 15:20). This means God can acquit guilty sinners and still be just (Romans 3:25-26). "For Christ died for sins once for all, the righteous for the unrighteous, to bring us to God" (1 Peter 3:18). Coming home to God is where all deep and lasting satisfaction is found. "Repent, then, and turn to God, so that your sins may be wiped out" (Acts 3:19). "Believe in the Lord Jesus and you will be saved" (Acts 16:31). "Repent" means to turn from all the deceitful promises of sin. "Faith" means being satisfied with all that God promises to be for us in Jesus. "He who believes in me," Jesus says, "shall never thirst" (John 6:35). We do not earn our salvation. We cannot merit it (Romans 4:4-5). It is by grace through faith (Ephesians 2:8-9). It is a free gift (Romans 3:24). We will have it if we cherish it above all things (Matthew 13:44). When we do that, God's aim in creation is accomplished: He is glorified in us and we are satisfied in him -forever.